What better way to capture the special moments of your vacation than having a professional photographer greet you for a photo shoot at the beach. Perhaps for the next holiday card? Take advantage of having everyone together with the most stunning of backdrops. Looking for a more unusual way to remember your family vacation? Then our “Day at the Beach” portrait session is for you! After taking some traditional pictures of your family on the beach, change into casual clothes or your bathing suits to play in the water and sand while we capture additional candid, “lifestyle” images of your family. Sessions last approximately 2 hours and include a disc of artistically processed images printable up to 8x10 size and an online gallery for you to view and purchase retouched & professionally printed products. 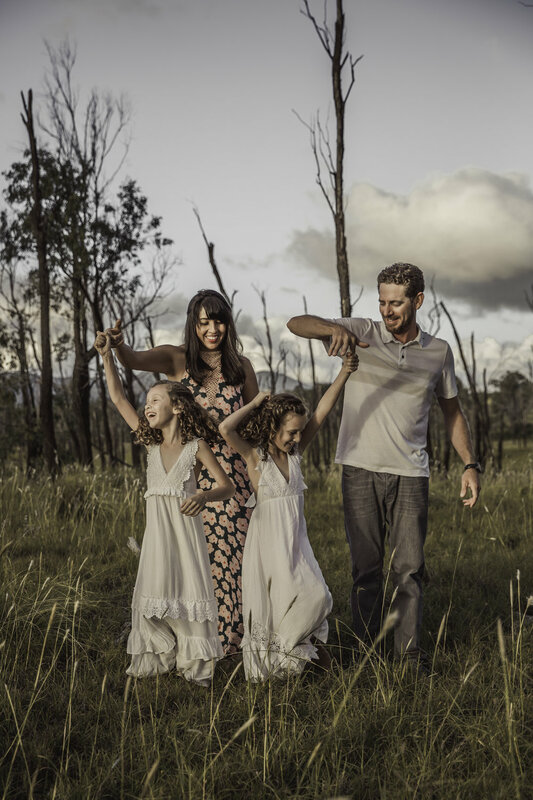 Our family portrait sessions focus on capturing the unique personality of your family. Our goal is to create a relaxed atmosphere that will allow your personalities and life together to shine in your pictures. You may choose your location from a variety of beautiful Hawaiian settings, such as a white sand beach, local resort or our lava rock desert. Sessions last approximately 1 hour and include a disc of artistically processed images printable up to 8x10 size and an online gallery for you to view and purchase retouched & professionally printed products. Our Hawaiian sunsets lend light for the most beautiful natural images. Call for custom shoots for any occasion!